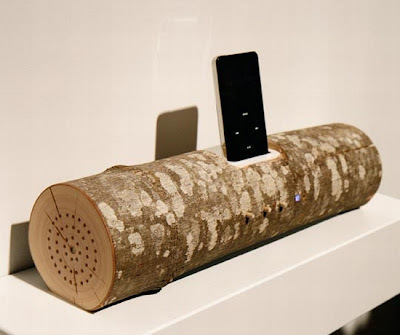 Collection of 'Creative Nature Inspired Designs and Products' from around the globe. 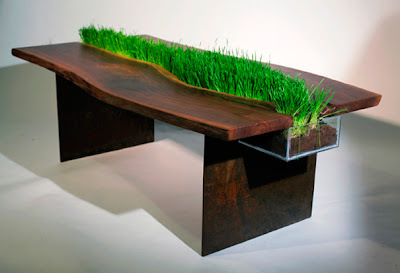 Walnut Table: Creation of designer Emily Wettstein who uses used walnut and steel to craft each piece and it features a removable planter right in the center. 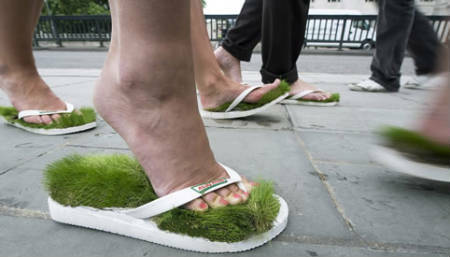 Mini Lawn: The Mini Lawn, created by Nguyen La Chanh, looks at getting the greenery to your feet, and that too in your bathroom. 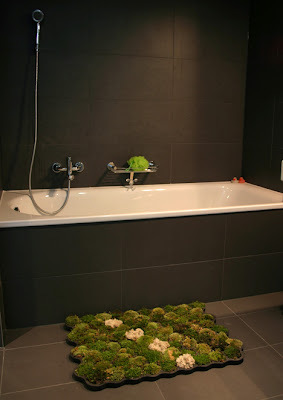 Little Field Of Flowers: This carpet has a beautiful appearance with flower shaped pieces of felt. 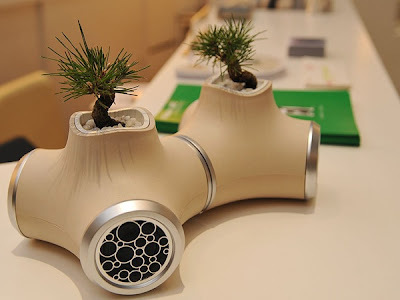 Growing Jewelry: An interesting concept by product designer Hafsteinn Juliusson. 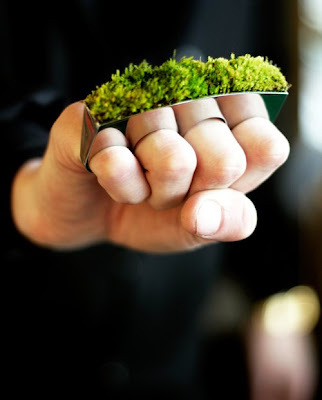 This collection of the hand jewelry is designed for those in metropolitan cities and is an effort to attract nature towards them. 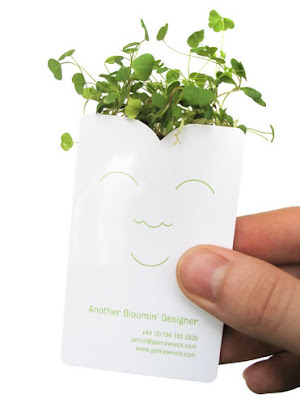 Sprout Business Card: Business card that sprouts; a miniature garden when kept in water. Green Slippers: Take a walk in the greenery wherever you are in these cool slippers. 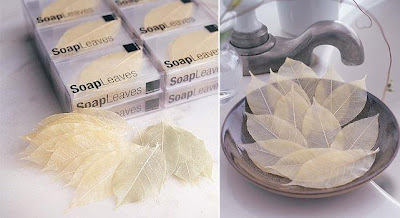 Soap Leaves: Each leaf is good for one or two uses; the content is poured by hands over a dried lattice-like frames of real mango tree leaves to form individual soaps. Wooden iPod Dock: This wooden music dock is made from used timber with holes made into it to make space for the speakers and the electronics. 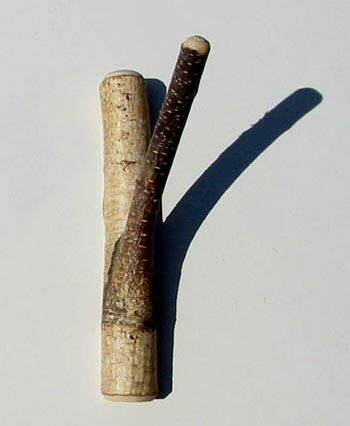 Twighooks: These are totally natural wall hooks and are made from maple, beech, and birch. 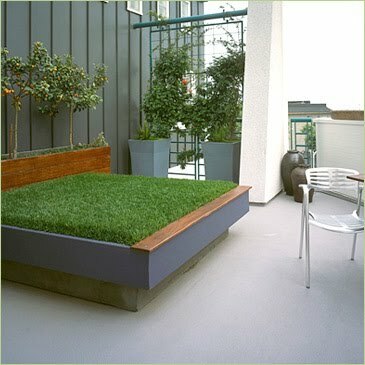 Green Bed: For those who like to sleep in greenery. 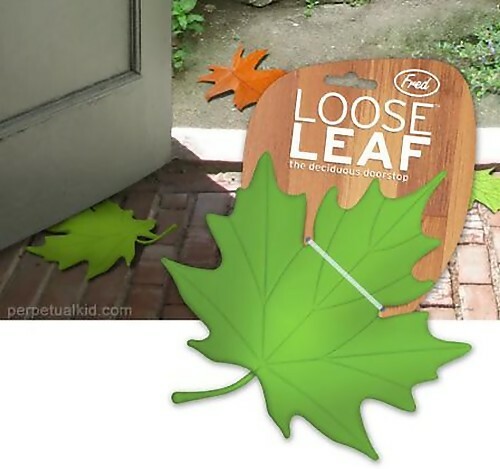 Loose Leaf Door Stopper: This functional and practical doorstop looks like it wafted out of the sky and flitted to your entryway. 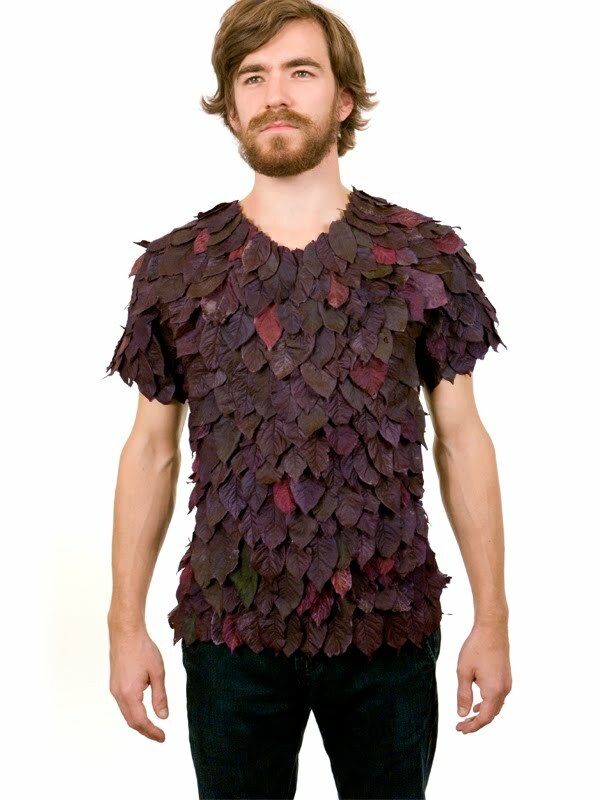 Leaf T-Shirt: Designed by Dave Rittinger, these creative t-shirts are stuck using only leaves.